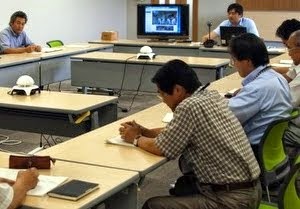 Code for Japan is starting its first fellowship program in Namie, Fukushima. 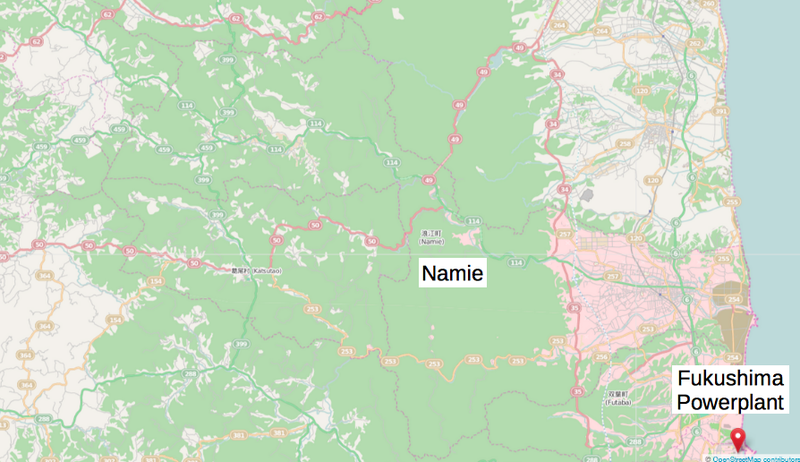 Namie is a town in Futaba District, Fukushima Prefecture, Japan. The town was heavily damaged in the 2011 Tohoku earthquake, tsunami and the nuclear power plant accident, and the whole town (21,000 people) evacuated due to the radiation threat from the nuclear power plant, and they still cannot go back to their hometown after 3 years have passed. Back in October 2012, my colleagues from Google and I visited the local government of Namie to discuss what we can do to help using technology. The town was in diaspora, and in order to discuss with citizens evacuated in various places in Japan, they needed technology to discuss. "How about using Hangout? You can use it for free, and can log in from 10 different places." Local government is split and functioning in 3 different places, so they used Hangout to carry on their discussions and meetings. Many people were not allowed to enter their hometown, and were asking to see the current state of their town. Therefore, through collaboration between the town and Google, we were able to drive Street View cars through Namie-machi to capture panoramic images of the abandoned city. When there is such disaster, I sometimes think technology is so useless. But at the same time, we find technology is so powerful and helpful and we can challenge things that were impossible otherwise. Back in April 2011, less than one month after the disaster, their mayor Tamotsu Baba used YouTube to provide message to their citizens. TV stations will not broadcast all of the small town's mayors' messages. They will probably not show the full video of 5 minutes of all of the small towns. Mass media has the right to control the contents on TVs. But on the Internet, you have the right to control the contents. If their citizens failed to see the news, there is no way to search on TV programs and watch it later. TV stations will not archive videos for you. But videos on the Internet can be viewed later if the citizens found out later that their mayor was trying to reach out to them. "But what about the old people who can't use the Internet? What about the digital divide?" You may ask. That is exactly why the town of Namie is going to distribute tablets to every single household in collaboration with Code for Japan and its subsidiary Code for Namie. "Can old people use tablets? I have heard many companies sent tablets to evacuation centers in Tohoku and they were never used." That is exactly why they are trying to get the fellows in Namie, and build apps from the user standpoint. In fact, when I visited the temporary housing of the evacuees in Otsuchi, I talked with an old man. He had a feature phone, and he said he only uses it to talk (voice), e-mail and look at the website of his town. He uses voice and e-mail because it is easy, never watches websites because it is small and hard for him, but looks at his hometown's website because otherwise he will miss the information. When he was in the evacuation shelter, he watched YouTube with other kids and evacuees and because the screens of tablets are bigger he enjoyed watching them. What will happen at Code for Namie? 1. Town of Namie is planning to distribute tablets to their citizens. 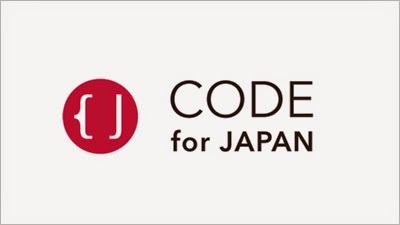 Code for Namie will support building apps and run various workshops to help the citizens. 2. Send 3 engineers to work for Namie. The team will support the distribution of the tablets, build communication platforms to connect the citizens who have evacuated all over Japan. 3. Build the local community "Code for Namie". Saying "We're starting Code for All fellowship in Japan" is not as simple as it sounds, because what we are tackling is not a city that has their own citizens in their town- they are all evacuees. The town that we are trying to work with is a victim of 3 disasters that each left tragedy to the town- earthquake broke buildings, tsunami washed away part of the town, and due to nuclear power plant accident the whole town is polluted with radiation. They have budget of 290 million yen (approximately 2.9 million USD as of 4/7 2014), including the cost of tablet that will be distributed to all of the 10,000 households. "Why now?" Initially, the town was planning to aim to return all of their citizens back to Namie, but according to a survey the number of people wanting to come back to the hometown is decreasing. If we don't build the community and rebuild the connection between the citizens now, the town is in jeopardy of being lost.